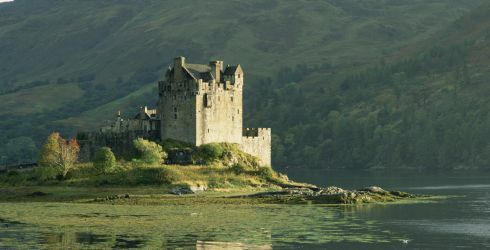 Visions of gorgeous castles and breathtaking countryside have you and your friends thinking about a big trip to Scotland? Exploring the country's wonderful landscape can be a ton of fun with a group. Hire a driver and head off for the hills, or roam the streets of the medieval cities like Edinburgh and Glasgow. Make memories that you'll never forget and enjoy some quality time with those close to you in a fantastic backdrop. Did you hear? If you can organize a large enough group, you as the organizer may be eligible to travel for free! This is because travel companies like the hotels and airlines "comp" the host as a thank you for bring them the extra travelers. The only downside to traveling as a group is the extra planning required creating a well balanced itinerary. Everyone has their own interests - some may want to go see what's in Scotland's many souvenir shops, while others might want to take a ghost tour or perhaps just relax in a pub. A good itinerary acknowledges that tension and takes care of it by balancing free time unstructured to allow for individual exploring, as well as group time to have shared experiences, such as a nice meal or just time to sit and talk about what everyone else has been up to. This Celtic adventure will take you through the highlights of Celtic history, art and nature. Although the Celts once settled in each of these lands, Scotland, Wales and Ireland all have a unique culture. From the kilted warriors and lochs of Scotland to the stunning natural scenery of Wales and Ireland's quaint towns and jovial pubs, there is much to see and do. View the complete day to day A Scottish, Welsh and Irish Adventure Itinerary. Aye, Scotland is full of wild heath covered landscapes, haunting bagpipe music, romantic castles and distinctive kilts. However, it's also the land where golf began and where some of the finest whiskies are blended. Gritty Glasgow is as well known for its art as for its urban environs and Edinburgh is full of intrigue with its narrow passageways and layered history concentrated in one mile of the old city. View the complete day to day Scotland At Its Best Itinerary.